Most agents and brokers understand that the email marketing process is important to ongoing client and prospect contact in real estate today. That being said, most agents and brokers struggle with the process and really have no system to keep it moving ahead. So what is going wrong here? Why are the agents struggling? They simply send listings in a regular an ongoing way with little other relevant information to help Property Investors and business owners locally. In the end, the result is that a generic marketing strategy creates a high unsubscribe rate. It takes time to put people into your e-mail database; don’t let your generic marketing processes destroy the relationships and undermine database growth. Certain days – You will find that there are good and bad days to send your emails. In most cases the open rate for a marketing campaign will be higher towards the middle and end of the week. On that basis send out your e-mail blasts between Wednesday to Friday in each week. Frequency – If you only send out listings then be very careful with the frequency problem. Many clients and prospects will get sick of generic emails landing in the inbox. If you are only sending out listings then do so fortnightly only. If you can provide articles and information from the local area, then the frequency can lift to weekly. The important thing here is to provide interesting information to the people that you know. Don’t bombard them with generic emails and repeated listings. If you have nothing new to send out, then don’t send the e-mail. Follow up – With all of the emails that you send, use them as a reason to talk to the clients and prospects that you know very well. A telephone call can be a valuable process when it comes to checking the interest of a prospect or a client with all of your recent listings. Split testing – Within the same marketing campaign, you can split test the responses to particular listings. What you can do is run slightly different campaigns for the same property using different marketing strategies and click through processes. A variety of photographs, advertising copy, layout, and selling points will give you different results; that is why the split testing process can be quite useful in determining what people are looking for and what can motivate them into making a property enquiry. Click rates – Some e-mail marketing programs and auto responders will allow you to track and measure the click rates that apply to particular campaigns. If you split your campaigns within property types and locations, you will soon see and understand what people are looking for in the property market today from a sales and leasing perspective. Check the click rates each week as they apply to your campaigns. Video – The addition of video to an e-mail campaign can do a lot to improve readership interest and open rates. Make sure that the video is professionally prepared and suitably edited. Load the video on to a web based video streaming platform that can absorb the higher level of click throughs and traffic numbers; this is certainly the case if the property is of great interest and potentially attracting attention. You don’t wanna website crashed simply because you have chosen the wrong platform to load the video into. 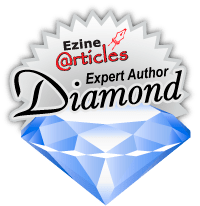 Professional photographs – Most exclusive listings today should feature professional photographs and video marketing tools to support the e-mail campaign. You can always see the difference when it comes to professional photographs and high quality listing campaigns. The results always reflected in higher enquiry rates and click throughs. So there are some good things that you can do here when it comes to improving the results you achieve with the mall marketing campaigns. Avoid the generic approach when it comes to quality listings and exclusive campaigns. 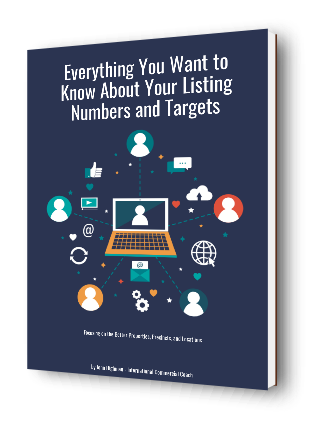 Make sure that you target the listing into the correct e-mail stream and database segment. From that point onwards it’s a matter of tracking the results you get from every e-mail. That is how you achieve better results with commercial real estate listings and online marketing processes.